The incredibly important analysis of Petur Halldorsson and "The Measure of the Cosmos"
The above interview on Red Ice Radio with author and researcher Petur Halldorsson has to be one of the most important and exciting discussions I have encountered in a long time. As with all interviews on Red Ice, the first hour (video above) is free to the general public, and the second hour is for subscribers only -- and well worth subscribing just to hear the second hour (by subscribing, you also get access to all the other interviews, including the extensive Red Ice archive). Mr. Halldorsson, of Iceland, has -- for the past thirty or so years -- followed up on the work of the late Icelandic scholar Einar Palsson (1925 - 1996), whose work involved locating the terrain and sites of the great Icelandic saga Njalssaga (telling the grim events surrounding the hero Njal and his enemies and his family). Dr. Palsson and Mr. Halldorsson discovered that the actual locations of the saga mark out alignments to the rising and setting points of the sun at summer and winter solstice, as well as the crossing point of the two axes between these rising and setting points. Further, they found that the markers creating these alignments (whether buildings, monuments, or prominent natural features) are located precisely 108,000 feet from the center of this huge circle (over twenty miles in radius, and over 40 miles in diameter). 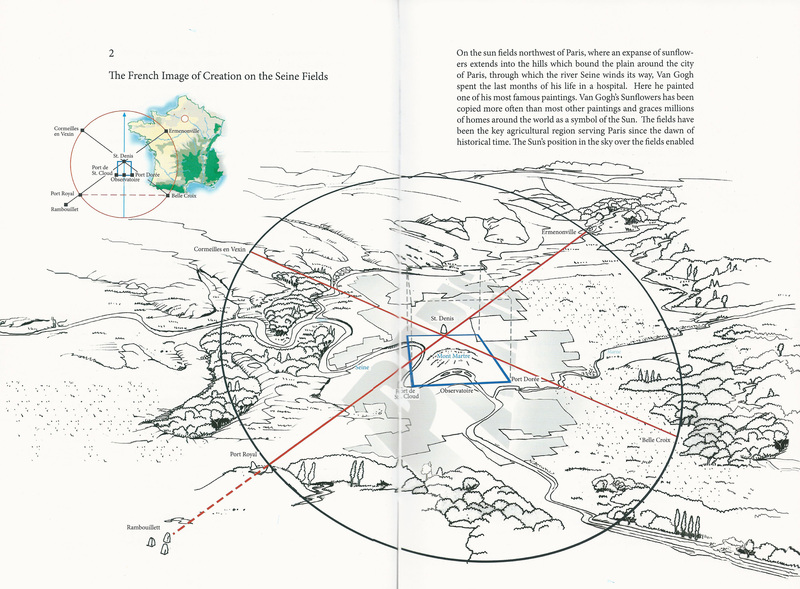 Also, from this center point, buildings or monuments or features frame a smaller square or "sacred cube" in a very specific way -- see some of the excellent diagrams from Mr. Halldorsson's book, The Measure of the Cosmos, which are reproduced at the Red Ice site here. What makes this discovery so important is the way it sheds light on many other sites worldwide. Mr. Halldorsson has found the same pattern at significant sites at other places on our globe, including England, France, Jerusalem and Italy. Here are the links: Iceland, England, France, Italy. Mr. Halldorsson's website, here, also contains papers describing these and other sites, including this one on the Holy Land. Passing reference is made during the second hour of the interview to the fact that the numbers involved in these sites (usually diameters of 108,000 feet but sometimes diameters of 216,000 feet) are precessional numbers. The conversation does not dwell on that fact for very long, but 108 and 216 are two of the most important and prominent precessional numbers, found in legends worldwide (even preserved in China). Here is a video I made explaining the precessional numbers in greater detail and discussing the importance of 108 and 216. The work of Dr. Palsson and Mr. Halldorsson goes well beyond the prominent use of the precessional numbers, however, and helps tie together many extremely important threads from mankind's ancient past. In the interview, for example, some time is spent discussing the concept of the cube and the hexagon (and how a hexagon is a two-dimensional representation of a cube), a very important theme which ties in with the work Ross Hamilton has done regarding the Great Serpent Mound in Ohio (see also the discussion here). Interestingly enough, a mighty hexagonal cloud pattern has been found on the planet Saturn, and as Giorgio de Santillana and Hertha von Dechend discuss at length in their essential 1969 text Hamlet's Mill, the ancients (including the Pythagoreans) often associated Saturn with the geometric shape of the cube. Note that Saturn is the sixth planet from our sun (something that the ancients should not have been able to figure out, according to most conventional versions of history, since most conventional historians assert that the ancients did not know that the earth even went around the sun and thus would not have thought of earth as the third planet from the sun or Saturn as the sixth). Further, de Santillana and von Dechend cite numerous ancient traditions associating the figure of the cube with a "stopper" that either started a worldwide flood (when it was pulled out) or ended the same flood (when it was put in place) -- and that some other ancient traditions don't refer to a cube but rather to a nail (which, when pulled out, started the flood). What was the name of the hero of that Icelandic saga again? 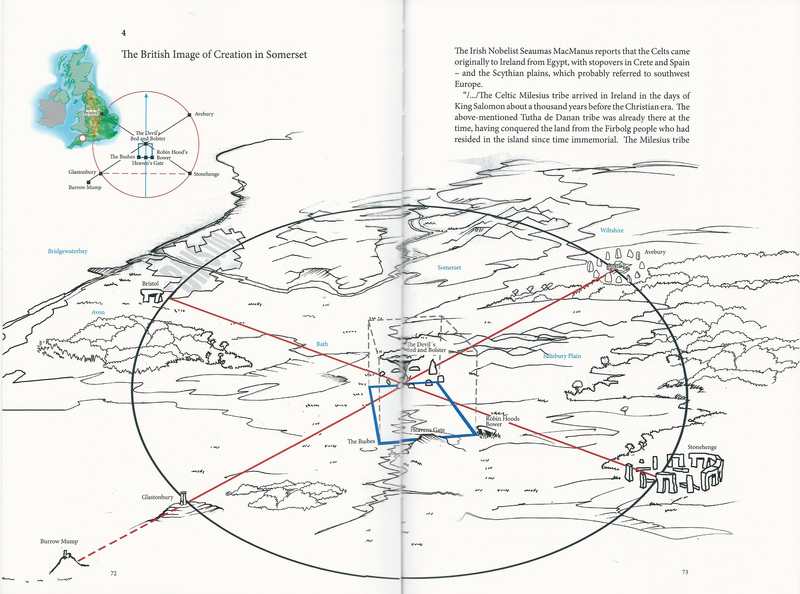 During the Red Ice interview, Mr. Halldorsson describes this sacred cube area found within the center of these monumental circles as an area of peace, and goes on to discuss the measurement of the "king's girth" in England, as ordained by King Athelstan -- a very important connection. The "king's girth" of King Athelstan is discussed in this previous post. That post argues that the measurements in Athelstan's proclamation may preserve a precise understanding of the size of our spherical earth -- something that other evidence shows was known by ancient civilizations long before conventional history teaches it could have been known. Mr. Halldorsson certainly indicates that the evidence he has found may support the conclusion that seafarers knew the location of Iceland and visited those shores long before the traditional date of settlement of AD 864. 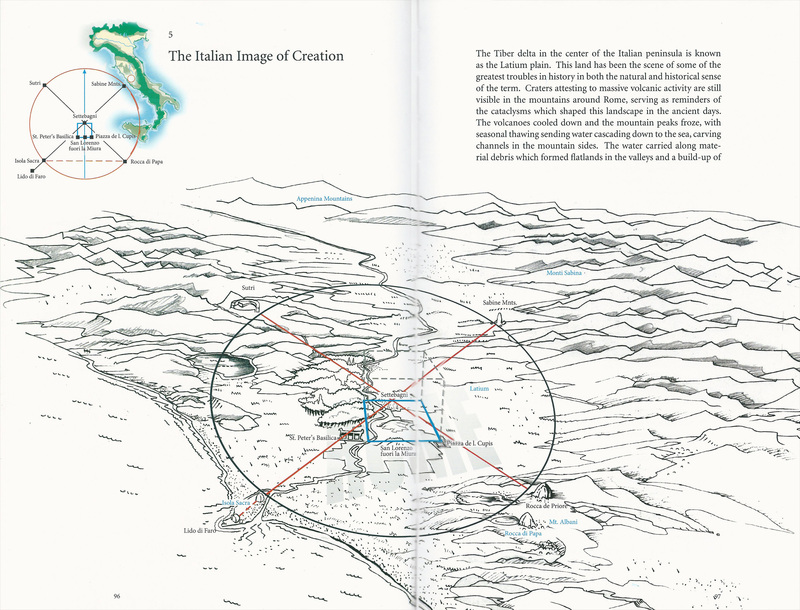 In fact, in their excellent book How the SunGod Reached America, c. 2500 BC (discussed in this previous post), Dr. Reinoud M. de Jonge and Jay Stuart Wakefield provide revolutionary analysis of the stone arrangements and the spiral patterns and circular patterns of ancient megalithic art which supports the conclusion that many of these patterns function as accurate maps to cross the Atlantic, and indicate the location of the Azores, the Cape Verde Islands, the Canary Islands, Iceland, Greenland, and the coastline of North America and the Caribbean. 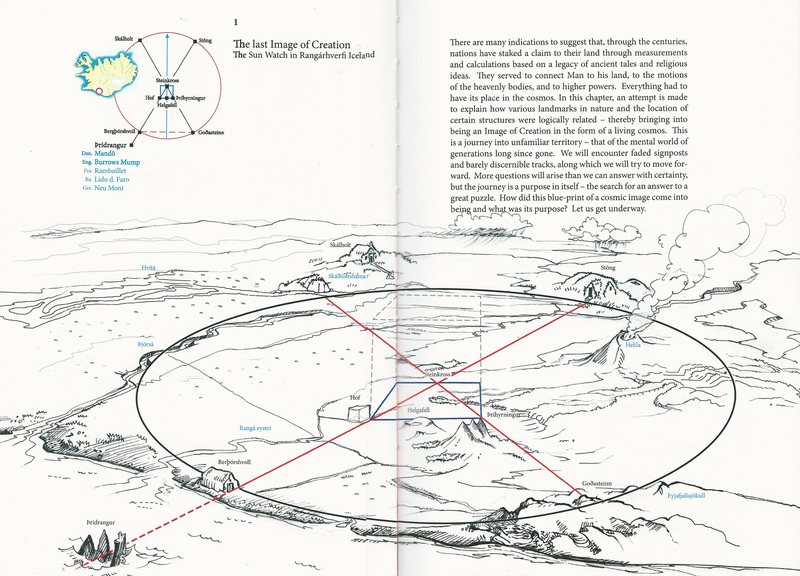 On page 5 of that book, for instance, they analyze a drawing from around 2700 BC from south Brittany (in France) which indicates the location of Iceland and Greenland (although not yet the Americas, according to those authors). Finally, Mr. Halldorsson discusses the origin of the peoples who left these ancient "Measures of the Cosmos" all over Europe, and the possibility that they might have come from ancient Egypt -- pointing out that the name of Iceland (and some locations there) may well derive from the word "Isis" rather than "Ice" as we normally assume. Since the goddess Isis is one of the stars and central figures of the precession-rich myth of Osiris, and since the Osiris myth contains the precessional number 72 which relates directly to the 108 and 216 of these circles discovered by Dr. Palsson and Mr. Halldorsson, the possibility of such a connection should not be neglected. In sum, there are numerous intriguing possibilities suggested by the important work of Dr. Palsson and Mr. Halldorsson (far too many to mention here). It is very likely that many other ancient sites around the world will be found to conform to the pattern they first noticed in Iceland. The world owes them a debt of gratitude, and researchers and analysts from many different fields and backgrounds should contact Mr. Halldorsson to discuss ways to help him with his ongoing research and ways that his findings connect to their own areas of interest or expertise. If you have not yet done so, be sure to check out his excellent interview, his website, and his book.